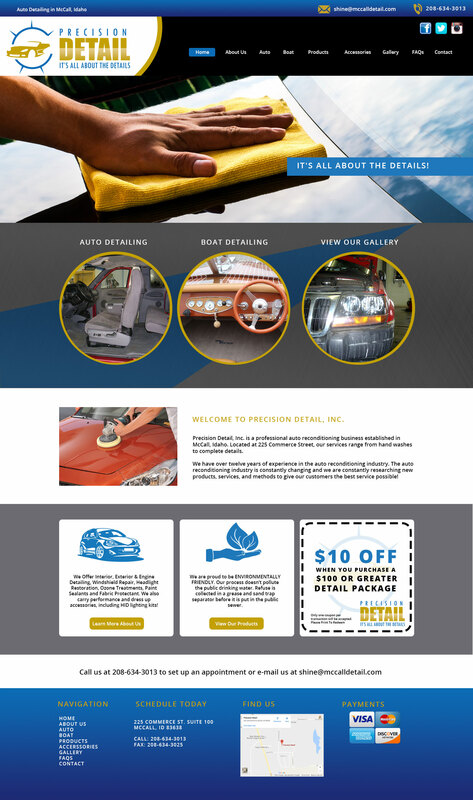 Precision Detail, Inc. is a professional auto reconditioning business established in McCall, Idaho. Located at 225 Commerce Street, our services range from hand washes to complete details. We have over twelve years of experience in the auto reconditioning industry. The auto reconditioning industry is constantly changing and we are constantly researching new products, services, and methods to give our customers the best service possible!